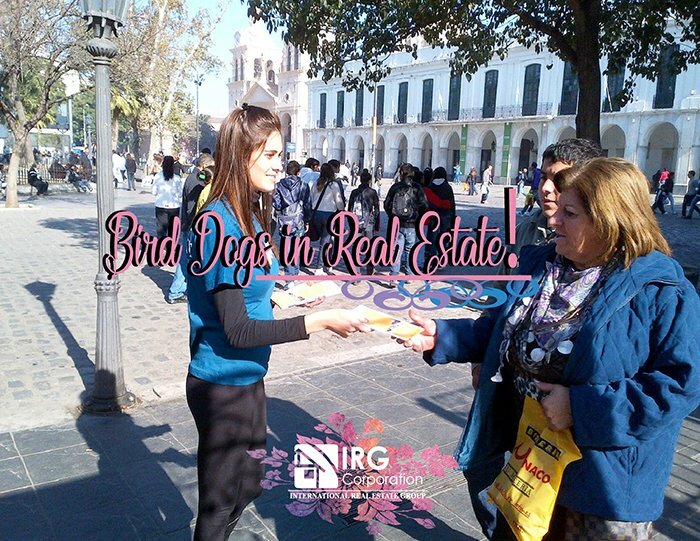 If you hear the expression “bird dogs” the first thing you could think about is those hunting dogs that search and bring the animal that has been hunted successfully; In the world of real estate, this term is not too far from the main idea, only in this context it is about people who are in charge of “hunting” possible houses or potential businesses for investors who are eager to put their money moving. The work of these people could be summarized in the constant exploration of the market where their main objectives are motivated sellers or undervalued properties which are interested in being sold. Because it is surrounded by people with the ability to invest, another of its main features is to create networks of potential buyers by increasing the percentage of specific businesses or deals after getting involved with potential customers that appear thanks to the connections you have established. One of the characteristics that could stand out most of the bird dog is that most of them, who work like this, have been in the real estate market for years and, therefore, their record of successful deals is very good; the years and the experiences give them a critical eye and an instinct that allows them to approach places where there may be negotiations. This does not mean that new people who want to enter from this position can not achieve it, but, it will take them a lot of time to create a reputation and establish a customer base that they trust in order to gradually grow in the area. They have endless techniques to attract, ranging from marketing to find directly properties and motivated sellers to simple ads where they leave a phone to communicate and a simple message of “we buy houses.” Their work is not easy due to the simple fact that they need to turn everything that has been tried into a real offer that can be negotiated and at the same time eliminate the risk of not being paid for their work by charging a small advance fee that at the same time gives them a direct view of what is the interest they have in working with them. This modality could be a good way to start practicing to be a great real estate investor because in both cases similar tools are used and the way to analyze your environment converges in a same point that turns out to be the common denominator of this section that is to make a full transaction in which both parties win and that allows you to look to the future and continue to explore until you have achieved what you had originally planned. So, if you want to be a bird, there is no other way to do it than taking the risk of starting from scratch and step by step to exceed your expectations.